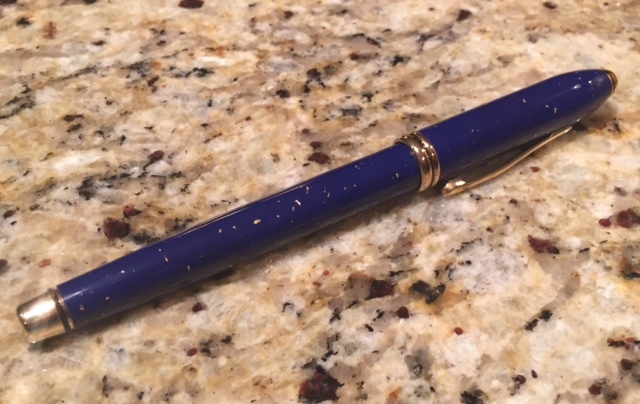 SOLD: Stunning and scarce Cross Townsend rollerball in the desirable Lapis Lazuli finish. 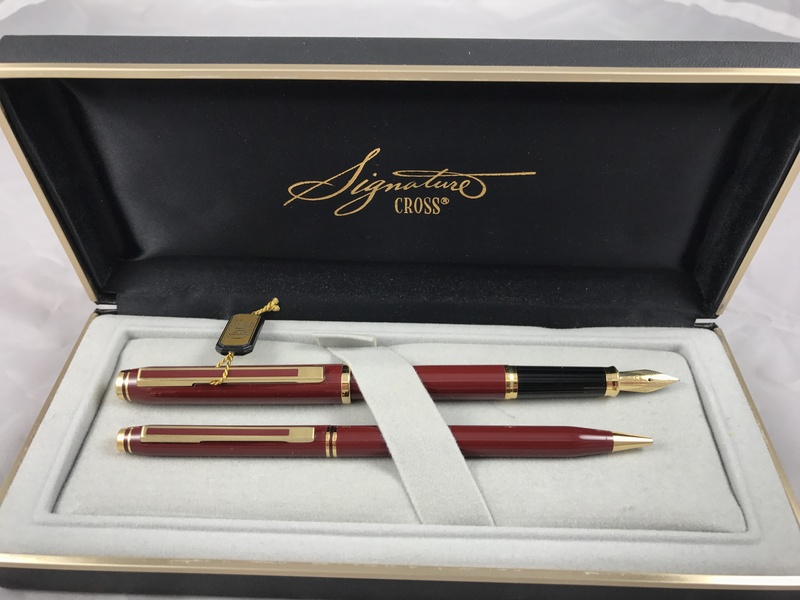 Stunning and rarely seen Cross Signature set in burgundy finish, produced circa 1990, complete with original box and papers. 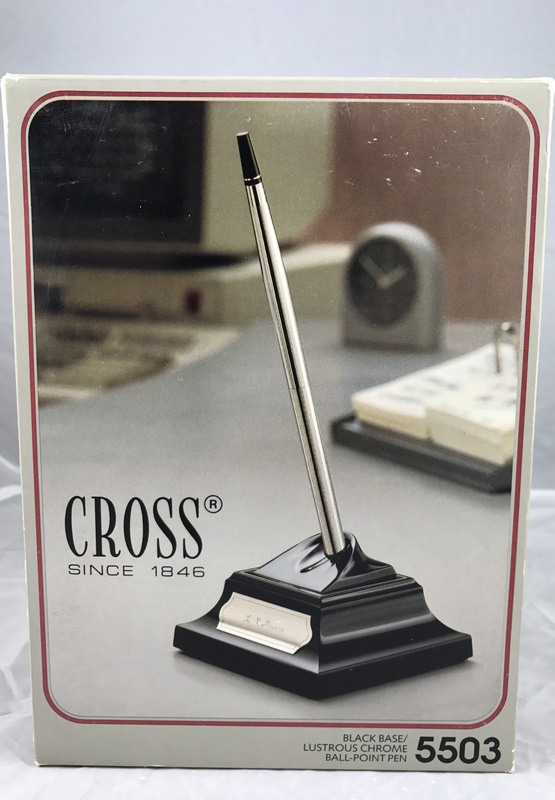 New in box Cross desk set with a black base and lustrous chrome ballpoint pen. 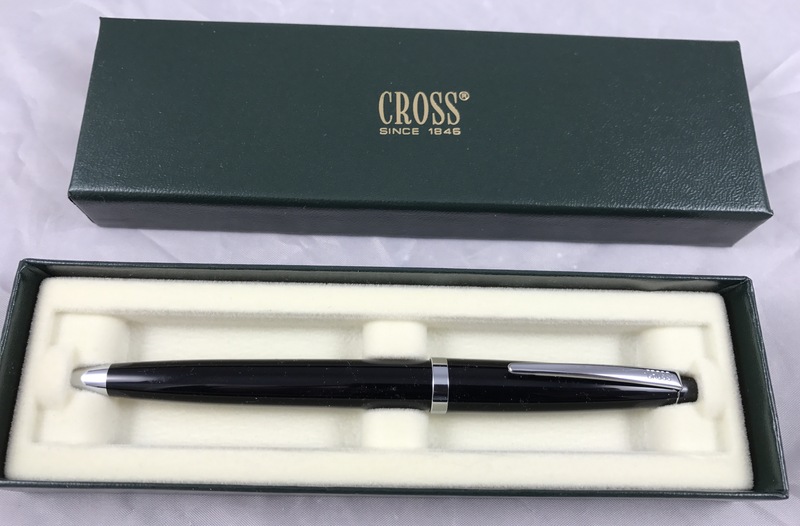 Includes engravable nameplate. 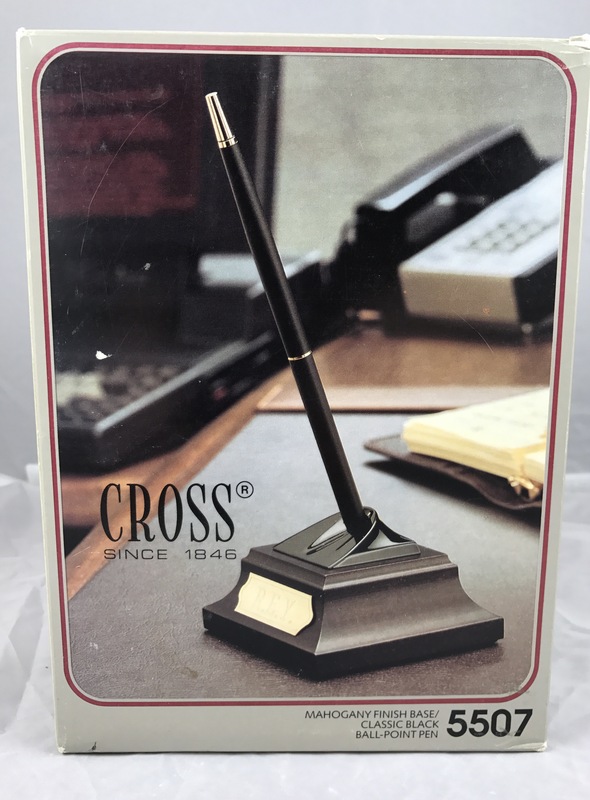 New in box Cross desk set with mahogany finish base and classic black ballpoint pen. 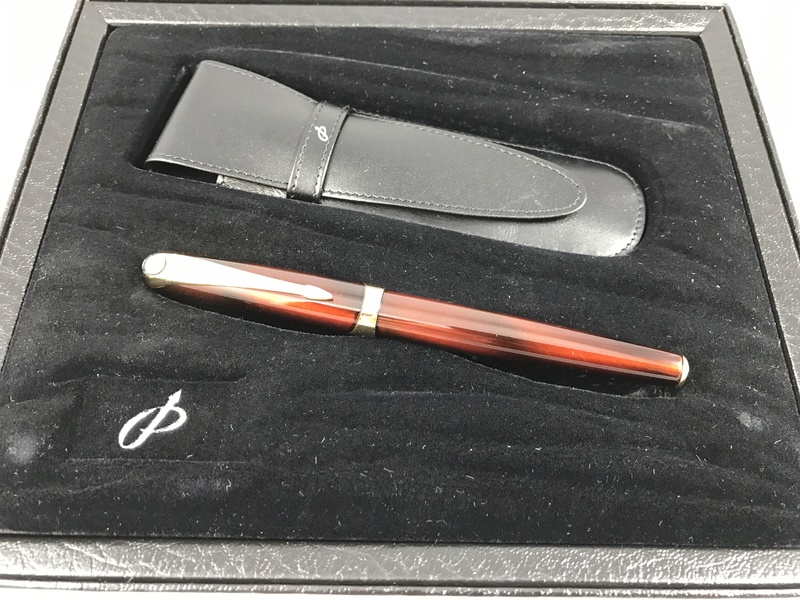 Includes engravable nameplate. 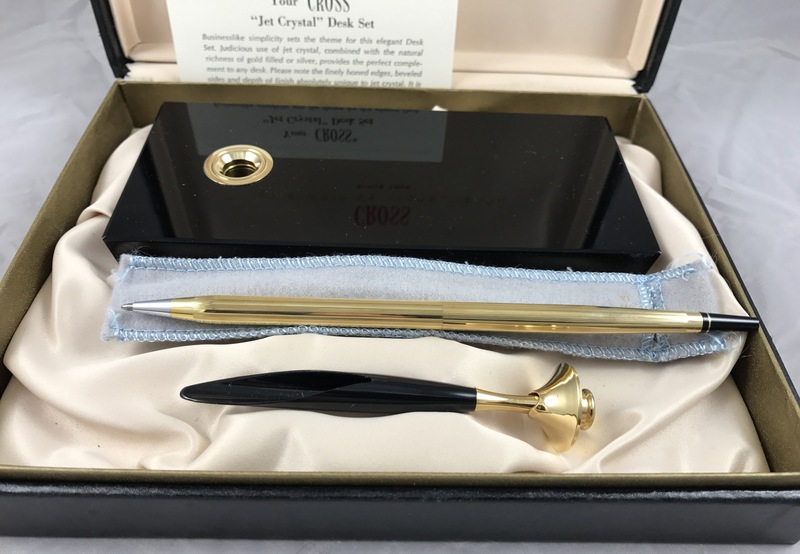 New in box Cross desk set with a black “jet crystal” base and gold-filled ballpoint pen. 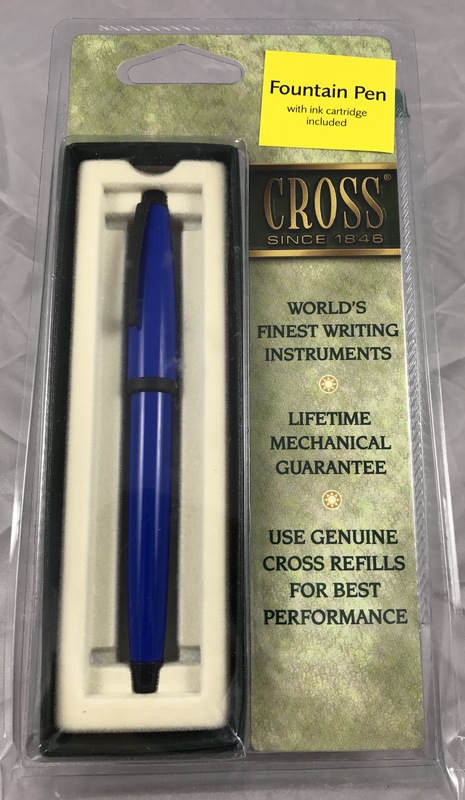 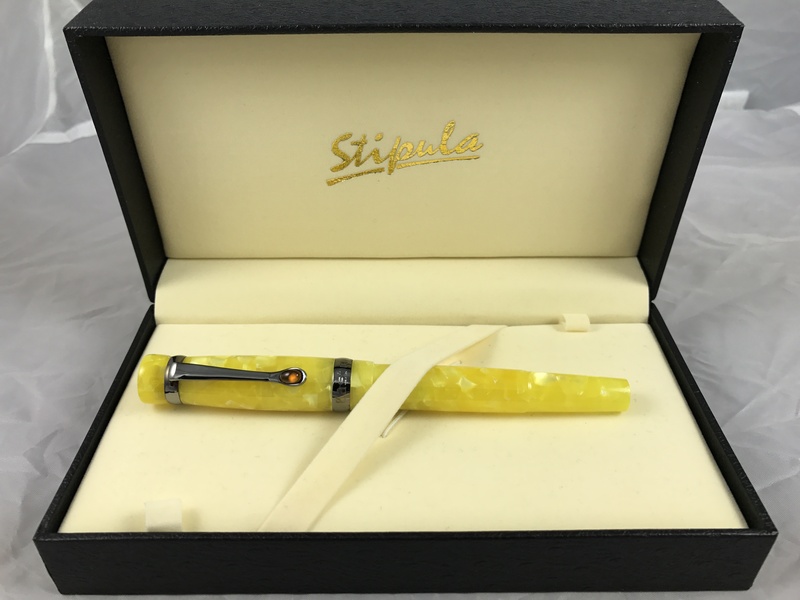 How do I contact to purchase this pen?